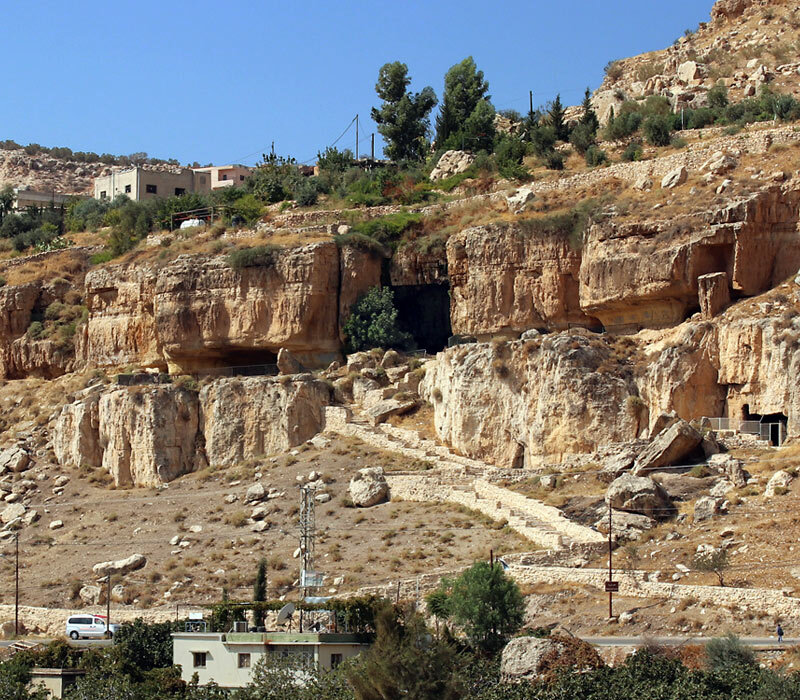 Iraq al-Amir, meaning "Caves of The Prince", is the name not only of the cave system on the northwest side of Wadi al-Seer, but of the whole area and small town in the valley. The fifteen caves in the cliff face have an easy access via stone staircases from the paved road. Six caves are on the lower level, while the nine of the upper level are connected through a 300 m long gallery, from which a spectacular panorama of the landscape can be enjoyed as well. Scrapers and bone tools used for hunting found inside the caves reveal a prehistoric use as shelter. The stone block with niches at the left end of the upper level, identified as a columbarium (dovecote), relate the caves to ancient cultic practices. Water basins next to the upper caves, remains of interior divisions, and of a former ramp, indicate that they could have been used as stables, perhaps even for the cavalry of Hyrcanus, the head of the powerful Tobiad family, believed to have ordered to build the Qasr al-Abd palace, visible down in the middle of the green valley. 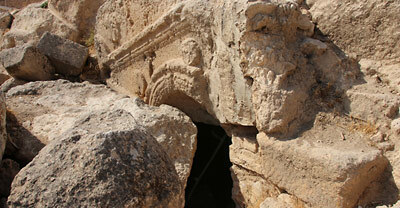 At the entrance of cave number 13, there is an inscription in Aramaic of the Hebrew name "Tobias," which can also be found on the next cave to the left.